This floorless boat was built in 2018 in North Carolina to tackle the high seas of The Outer Banks by Regulator. Regulator has a huge following in the States and they and slowly but steadily becoming the centre console of choice for Australian's. This 23-footer was made for deep sea fishing but converts seamlessly into an all-rounder for the Perth waters. Regulator boats are seriously tough sportfishers known for their exceptional fit & finish, as well as a dry, soft, and comfortable ride. Designed for ultimate fishability, incredible comfort, and serious performance at every turn. The deep hull, huge deck space and ample seating and storage and just the tip of the iceberg when it comes to the features of this pure bread fishing vessel. The length is 23 foot without the world-renowned Armstrong bracket. With the bracket it comes in at 27 feet 6 inches. 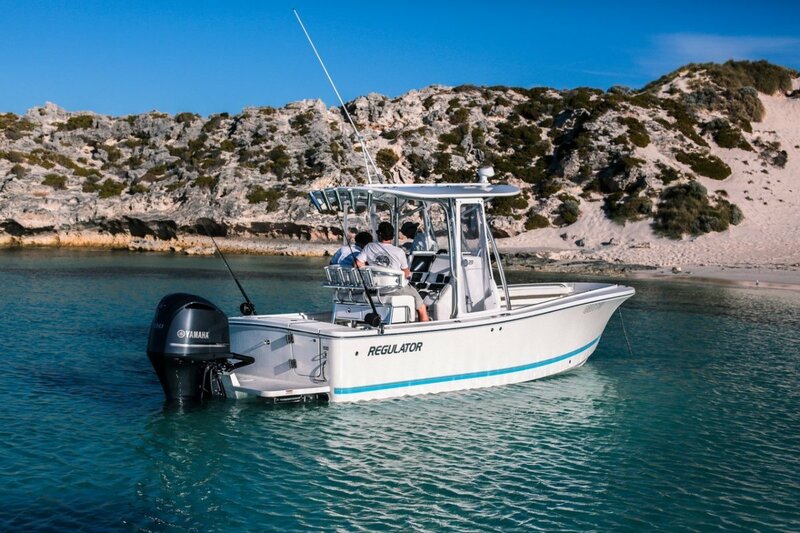 The fishing gear that comes with the boat is second to none: forward seat fishbox/dry storage, in-deck fishbox/locking rod storage, freshwater tank, transom fishbox/livewell. Single Yamaha F300 4-stroke engine with digital electronic control. Remote control from dash spot light. The anchor through the bow. Fresh water tank and shower. The boat is located on the racks down at Freo, if you would like a viewing please call OR text TIM SWAN on 0412 563 319.